Every year, The Corps Network celebrates the important work corps programs provide across the country though its ‘Project of the Year’ and ‘Corpsmember of the Year’ awards. These awards honor up to nine Corps organizations across the country — out of 130 — and are based on the impact to the Corpsmembers involved, and to the communities they serve. This year, Northwest Youth Corps is extremely honored to have its American Sign Language (ASL) Inclusion Crew chosen as one of four projects that the Corps Network designates as Project of the Year. NYC developed this project because individuals who are Deaf and Hard of Hearing (DHH) experience higher rates of unemployment and lower lifetime wages compared to those who can hear. In response, NYC created the ASL Inclusion Crew to provide DHH teens and young adults with a safe, supportive and accessible job training opportunity where they earned a stipend and academic credit. Just as importantly, the ASL Inclusion Crew offers these same individuals the chance to work together to overcome challenges and achieve a common goal. In 2016, NYC’s ASL Inclusion Crew was fortunate to partner with San Juan Island National Historical Site. 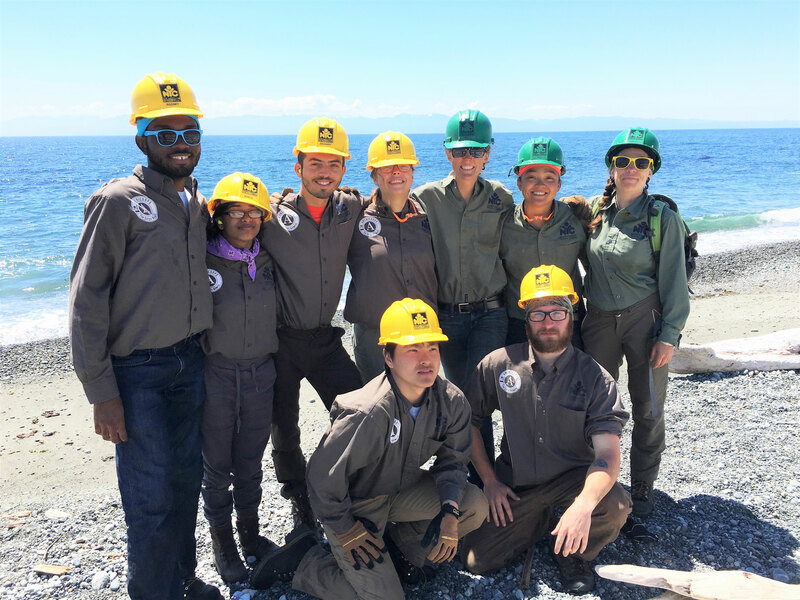 Although this crew was sponsored and funded by the National Park Service, Park Superintendent Elexis Fredy leveraged her investment in NYC to build community among many land management agencies and nonprofits in the area. 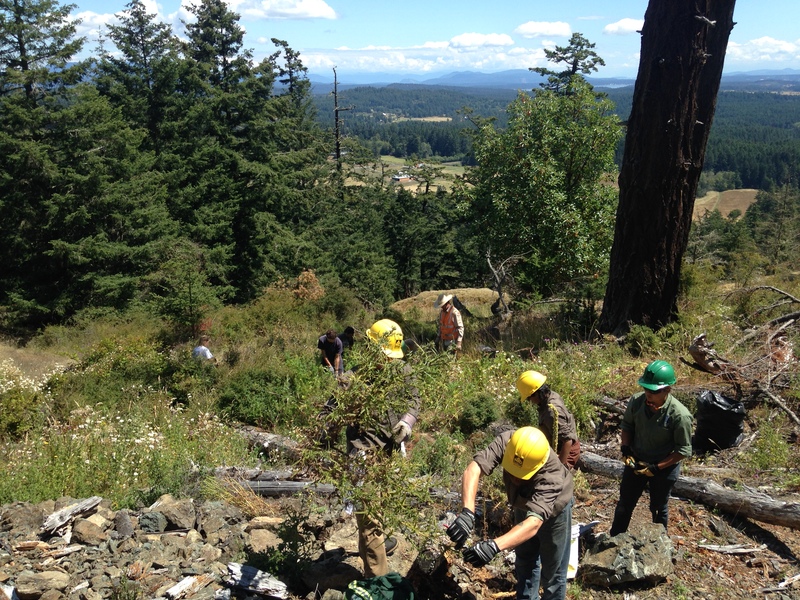 As a result, this crew also worked in cooperation with San Juan County Parks, San Juan County Land Bank, San Juan Island Conservation District, San Juan Preservation Trust, Washington State Parks, Washington Department of Natural Resources, the Bureau of Land Management, and the Madrona Institute (supporting three local Conservation Corps). Not only did this diversity of partners allow for unique (and sometimes spectacular) conservation service opportunities for the crew, but the ASL crew connected with other youth conservation corps in the area, and successfully modeled the amazing capacity of Deaf and Hard of Hearing individuals to learn and work in the outdoors. 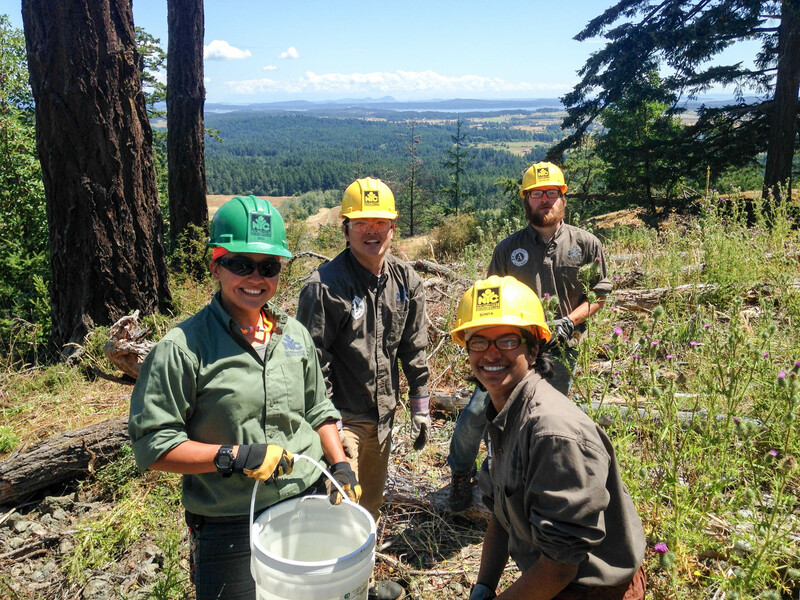 This year’s Young Adult ASL Inclusion Crew’s invested over 2500 conservation service hours in the San Juan ecosystem, and made a measurable, positive impact on the community. On the ground conservation service projects included invasive weed removal; boundary marking; creating beach access and beach clean-up; prairie restoration through revegetating native plant species; building fences to protect endangered habitat; and building and maintaining hiking trails. 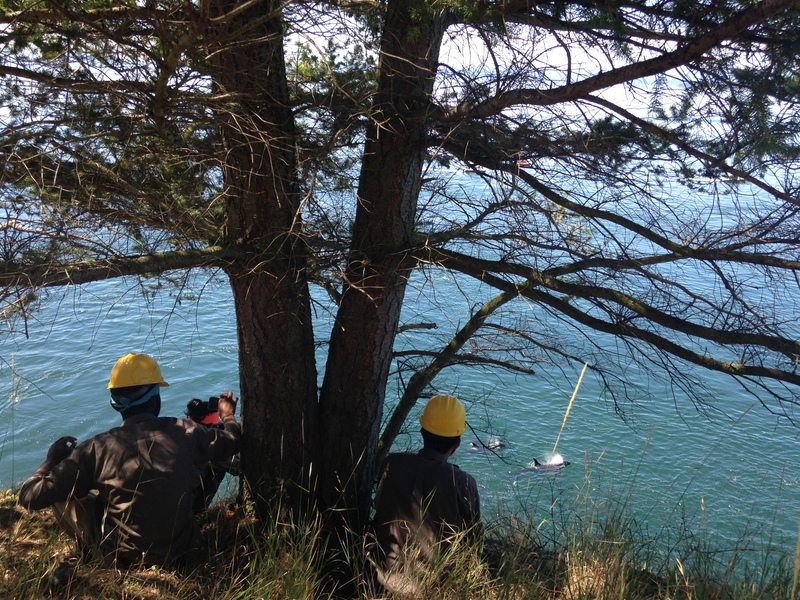 In addition, the crew assisted resource management staff in data collection and wildlife observations. Meanwhile, our partners — who are committed to engaging youth in conservation service — became more welcoming and inclusive of different populations to public lands. Northwest Youth Corps is deeply appreciative of our Project of the Year award and we look forward to working with the larger Corps community to share our experiences and to improve program quality and success in 2017 and beyond.